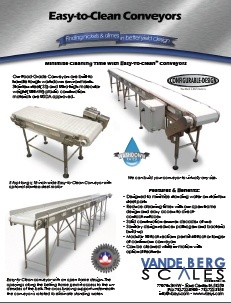 Vande Berg Scales makes a highly reliable food-grade (sanitary) conveyor that are easy to clean. Here is why. 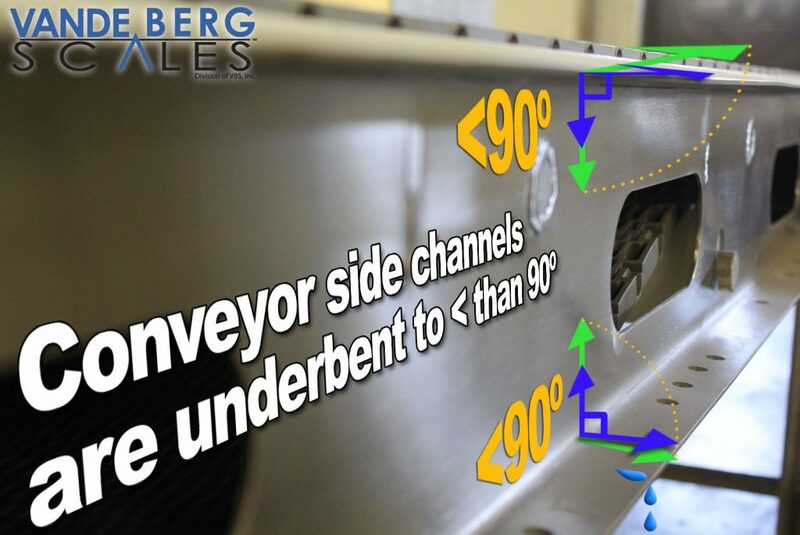 Side channels are under-bent to less than 90-degrees resulting in less water accumulating on the conveyor after washdown. Side rail stand-offs prevent bacteria from forming between flat surfaces. 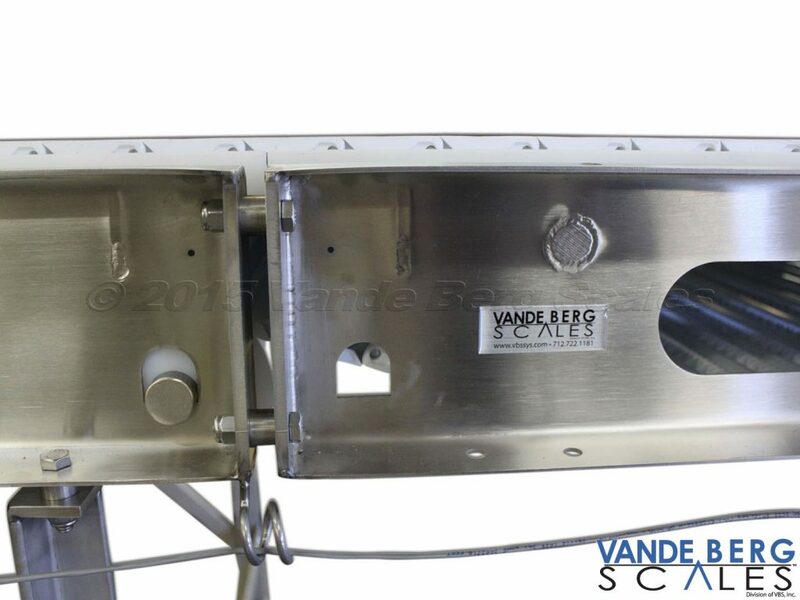 This design aspect make cleaning easier for the washdown crew. 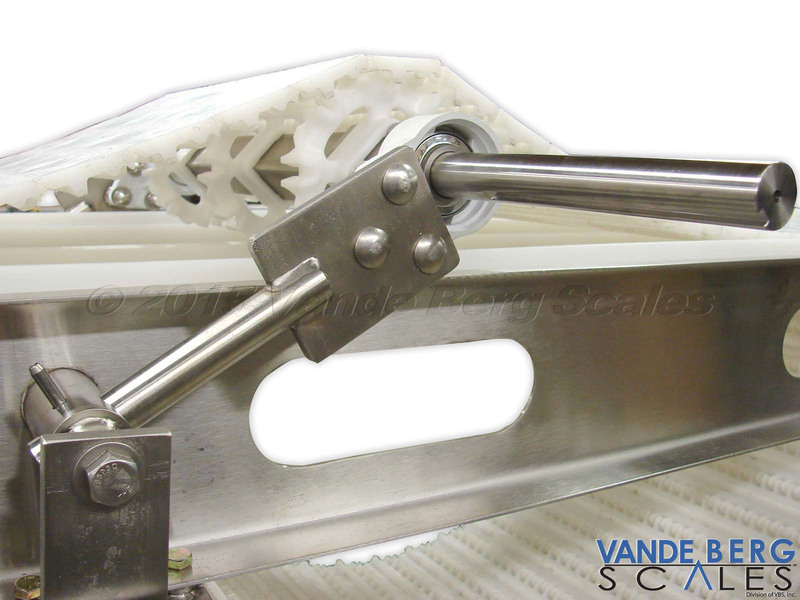 L-shaped sliders contain easy to clean conveyor belting. 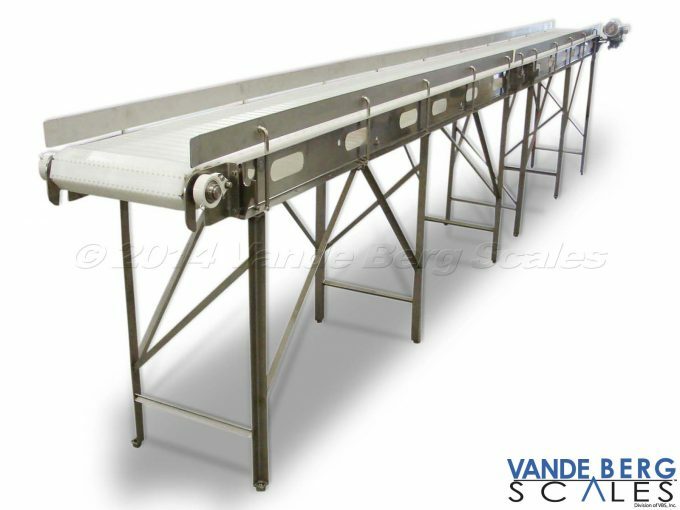 Our design accommodates 20-70-ft conveyors by creating multiple identical 10-ft sections. This keeps costs down. Shaft-raising option permits washdown crew to more easily clean with a loose belt. 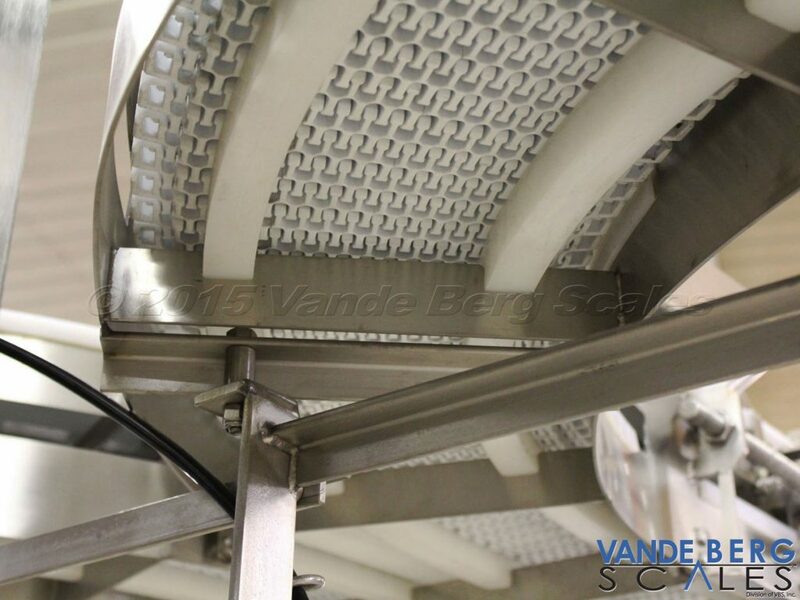 Open access to the underside of the conveyor ensures you are able to clean all areas. 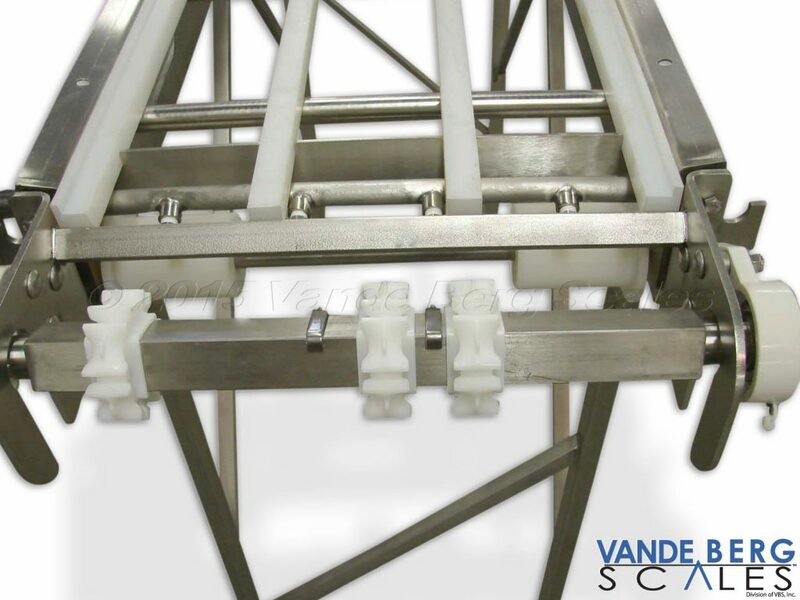 Roller shaft is easily removable from the frame for thorough cleaning. 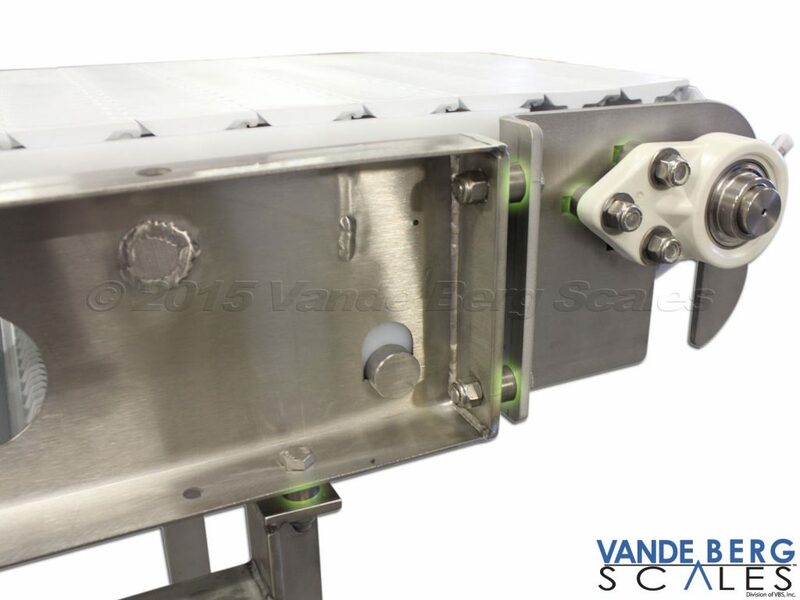 Every conveyor part receives meticulous attention to detail ensuring a unit that exceeds your expectations in EVERY possible way. 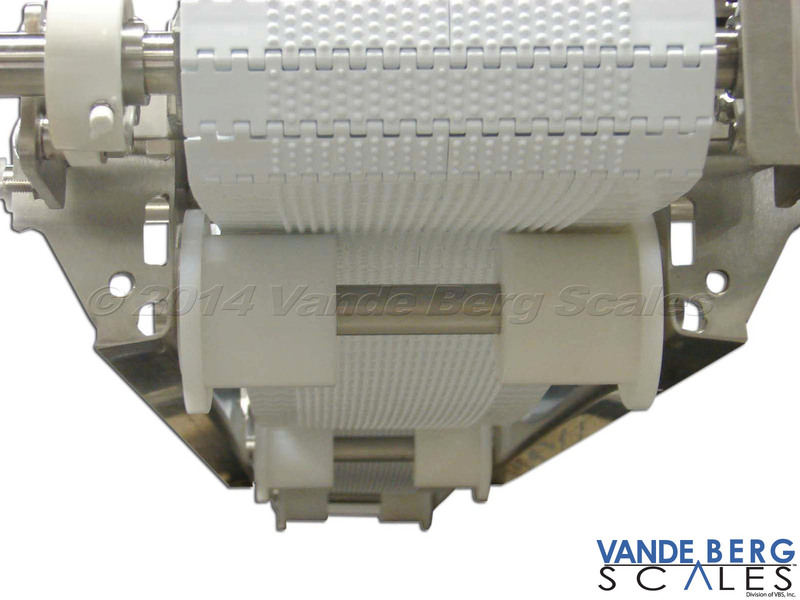 Contact us to learn more at 712-722-1181.